Advertising 101: Associate your product or service with positive emotions. 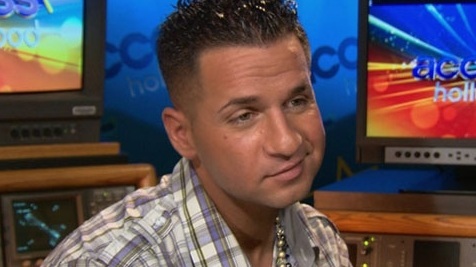 Abercrombie & Fitch will pay Mike Sorrentino, aka "The Situation" and the other members of "The Jersey Shore" to NOT wear their clothes. A&F says they're concerned about the association their customers and potential customers may make with Sorentino, et al. Most all advertising is made with "Friendly-Beta" personalities - NOT "Arrogant, over-the-top Alpha" personalities. While there are exceptions to this rule, they are rare. Mr. Sorrentino somehow has come to believe the contempt, his face so often expresses, is somehow attractive and makes him desirable. Abercrombie & Fitch wants to disassociate themselves from "The Jersey Shore", and I'm only surprised that they waited so long to do so. Contempt is an incredibly negative and destructive emotion. At its fundamental root, it involves the belief that another person or group of people is inferior. At the University of Washington, Dr. John Gottman has found it is THE most predictive indicator of relationship failure. Incredibly, the recipient of contempt is also subjected to significantly increased rates of infections and illnesses. Contempt is characterized by a unilateral mid-face tightening. A classic one-sided nostril flaring/dilation is also seen with a snarled/elevated upper lip. There is often forehead tightening and while this contracture may involve its entire width, it very often involves just the central forehead (which indicates a greater level of contempt). It is extremely common for the head to tilt away, rotate away and retract away from the person(s) of contempt. All of these head movements, in particular the tilting, give rise to the familiar "upturned nose" which is so characteristic for this emotion. Also classic for contempt is a (largely unilateral) wrinkling of the nose. Contempt, like all emotions, may be expressed very quickly (less than 0.5 seconds) in a microexpression (Ekman). It also may be displayed in a very subtle fashion. While both of these displays are difficult to recognize, almost everyone can be trained to spot them. Not being able to spot contempt can very literally be hazardous to your job, your health and your marriage. Are you missing this emotional display?